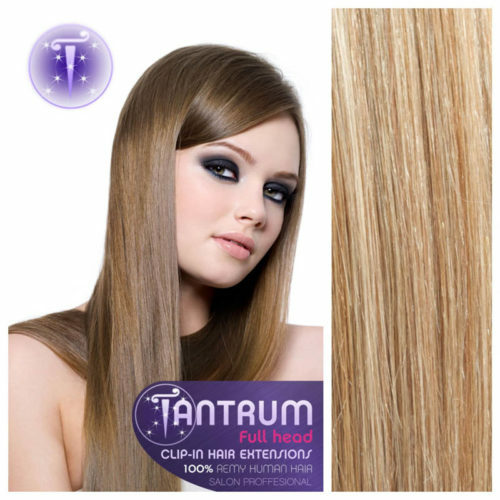 Tantrum Hair Extensions are proud to introduce our exclusive line of custom made Russian Clip-In hair extensions. Our fullhead sets are fantastic if you are looking to add length and volume to your natural hair. Tantrum hair extensions are made from only the finest quality 100% Remy human hair at the most affordable prices. Easy to apply and totally undetectable which allows you to create a natural look in a few minutes. Each set comes with discreet silicone lined clips attached.